Ages: 3 & 4 yrs - Limited places! Our preschool is inspired by the Montessori and Steiner Waldorf approach as the philosophy supports and complements our Islamic teachings and Prophetic model of education harmoniously. It suits the needs of the child and proves as an excellent alternative model of education and homeschooling. Little Shepherds aims to provide a warm, intimate, nurturing ‘home away from home’ environment which supports children to develop at their own time and pace. This well balanced, integrated, child-led curriculum follows the wisdom of Prophet Muhammed (pbuh) to “play with your child until seven”. Providing this opportunity to children, not only establishes a good foundation in which children can grow into happy and healthy beings that have great purpose and innate capabilities, but also develop a disposition and love for life long learning. 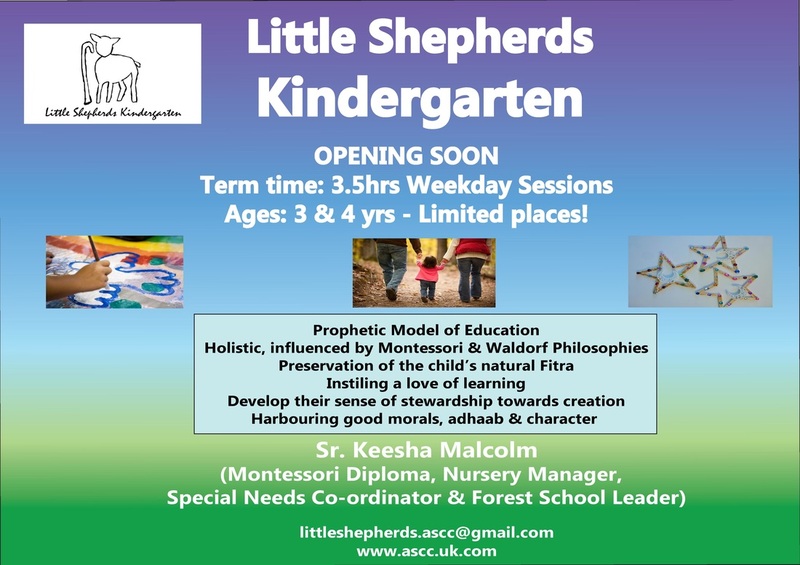 Mrs Keesha Malcolm, mother of three, has a Montessori Diploma from an accredited institute. She is a qualified Special Education Needs Coordinator and is Forest School Trained. Keesha is also a Child Protection Officer and is First Aid Pediatric Trained. She has previously served as a Nursery Manager & has over five years Early Years experience. To add your child to our waiting list, kindly submit the form below. NOTE - Child registration will be taken on a first come, first served basis.